The main objective of this organization is to lead the students to their desired career through strategic consultancy services. 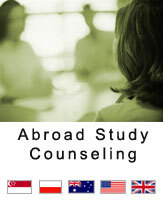 To explore worldwide recognized colleges/universities in different counties and introduce them among Nepalese students. To assist students to getting enroll in those colleges/ universities as per their desired facilities. Coaching the deserving students for scholarship about the particular college/ university that provided for the international students. Prepare students according to the requirements of the colleges/Universities such as in the case of requirement of TOEFL/ IELTS etc. Understanding the perception of students, the organization will provide the best counseling for choosing the appropriate sector of career and destination. Advertising and Promotion of the colleges and universities through out Nepal. Advertisement in cable TV and fm radios.